Learn about who Soroptimists are from our KOBI ad that ran in January 2010. 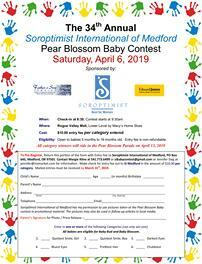 Soroptimist International, a women’s service club at the local level, has five clubs in the Rogue Valley, each with its own projects, personality, and meeting place. We share in common the singular goal of improving the lives of women and girls locally and globally. As Soroptimist International and Soroptimist of the Americas, we are supported by initiatives that help us meet that goal. With area, district, regional, federation, and international meetings, we join with “sister” soroptimists around the world to make this a better place for all.